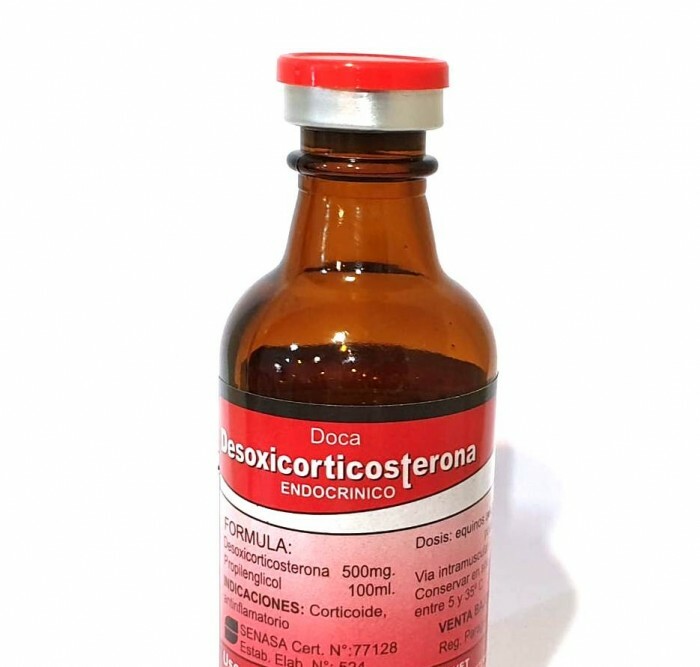 Indications: Ultra fast action corticoid. It is indicated in the acute and over-acute inflammatory processes of any etiology: arthritis, bursitis, tendinitis, synovitis, general and localized inflammations, severe allergic processes, anasarca, generalized pruritus, anaphylactic shock. In bronchial spasms. It increases the amount of sugars in muscle, fighting fatigue in hemoconcentration. Formula: every 100 ml. 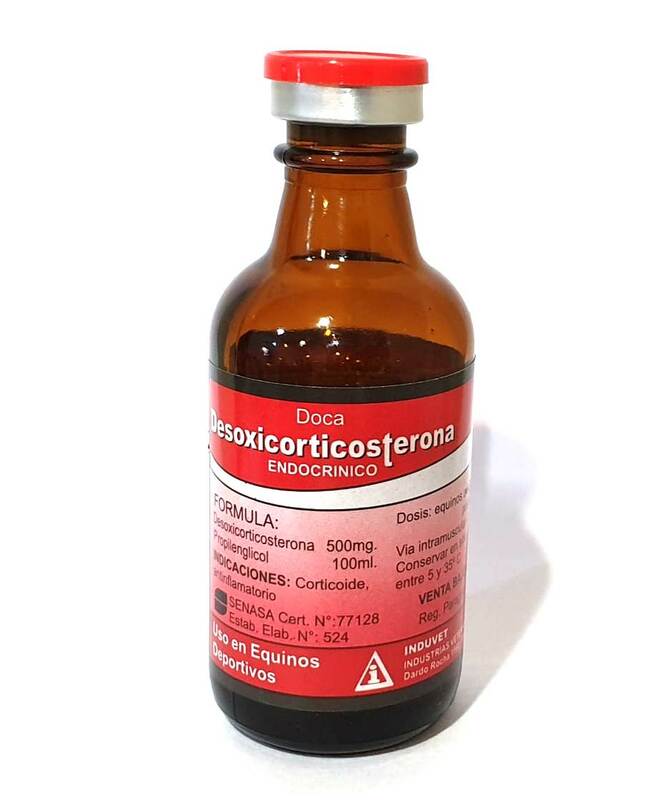 Deoxycorticosterone acetate 500mg. Presentation: glass bottle for 40ml.